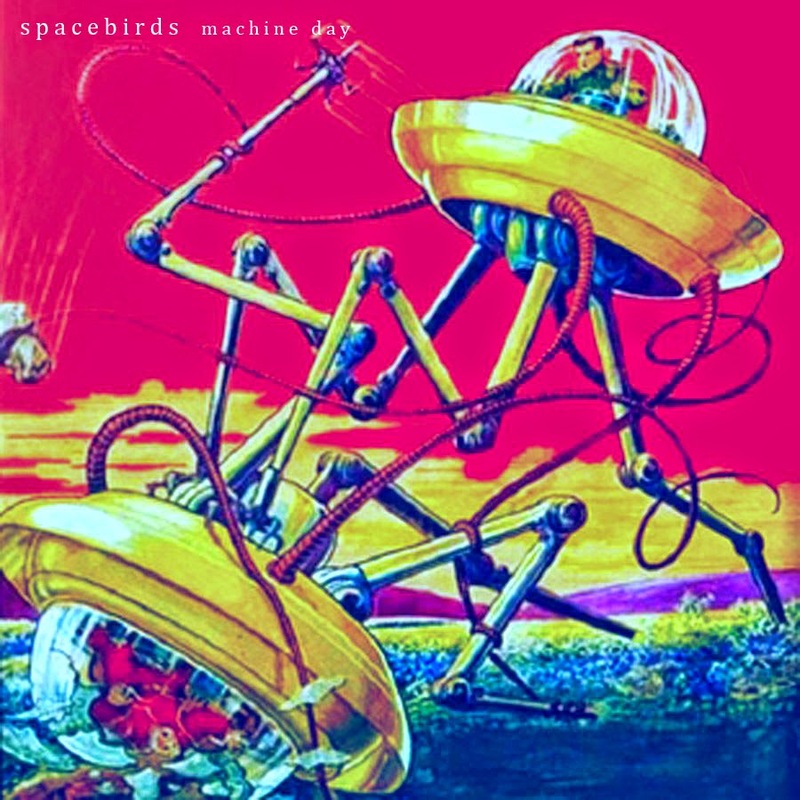 Machine Day is a 3 track ep by Spacebirds, self described as “A Sci-Fi Synth / Spacesound / SynthPop / Techno project from Russia. Producer by EugeneKha.” I must admit, at least half of the reason why I picked this EP for listen was the retro soviet cover art. Machine Day starts with a promising piano intro, which is soon topped with a clumsy fade in. However, the good soundscapes that follow impress. The beatwork is simple, but there are a lot of solid, complex melody-work and spacey hums and wooshes. The sound that comes through is some sort of psychedelic electro (trance?). Compared to Iranon (another similar Sirona artist that I reviewed a week [AHEM! COUGH!] ago), Spacebirds are more dancefloor and extroverted. However my opinion is based merely on this EP. The second track Mars Attacks is the best cut, a wicked psychedelic flow. It is not that often that I notice nodding my head automatically on a beat of electronic music. Machine Day does it at times and Mars Attacks almost constantly. There must be something special going on here. The sound definitely manages to avoid the worst Fruity Loopery. There had to be a letdown. The third and final track Moonman has a vibe of being a mash-up track that lacks a functioning suit, silly melodies on top of a jarring thump-thump. Not my piece of pizza. The song brings images of a Moonman doing random stuff while floating around in zero gravity; it could work as a music of an animation or as childrens music but as a near 9 minute song, it doesn’t hold its ground. The trance-like beats of first two tracks do make yours truly, truly an avid hater of trance beats, at best, fall in a state of trance. Same cannot be said on most dancefloor music.